Erin and I were able to take part in a fun party that a friend of mine hosted for about 20 friends. She hired us to come in and talk about the benefits of Keto, the difference it has made in our lives, and how we cook. After our talk, we prepared a complete Keto meal for the whole group. It was a lively discussion filled with great questions and some new foods for most. I always wait for the reaction after dessert. 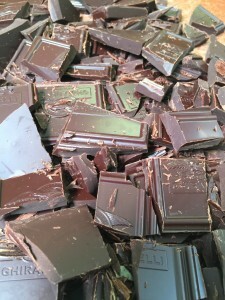 It amazes people that we can make such decadent desserts without sugar. One of the desserts we made was a rich chocolate tart that I have slightly modified from the brilliant Dr. William Davis’ book, Wheat Belly 30-Minute (Or Less) Cookbook. If you don’t already have it, we do recommend it, and it is available for purchase in our Amazon store. 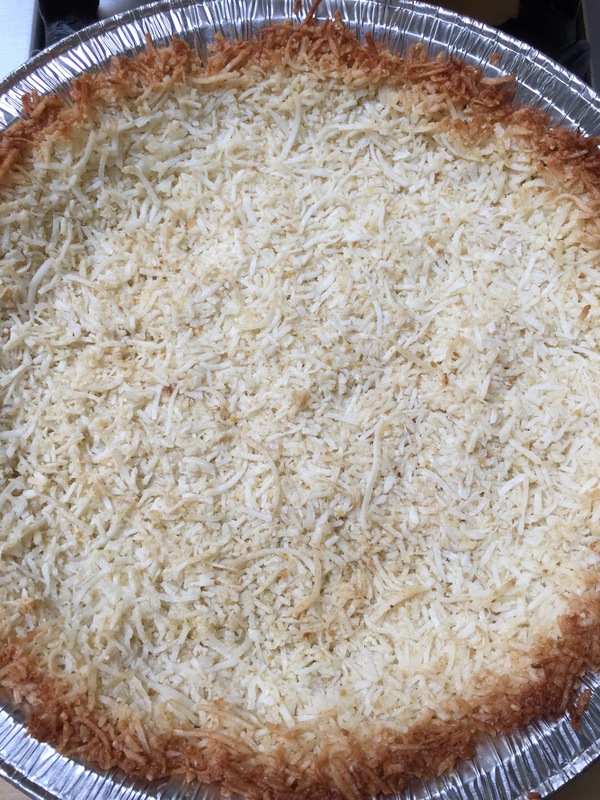 I made two tarts, one primarily the way it is in the cookbook with a coconut crust. 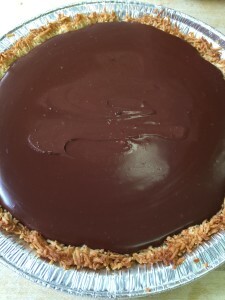 In my opinion, the natural taste and texture of the coconut helps cut the bitterness of the dark unsweetened chocolate for a perfectly balanced dessert that is very satisfying. 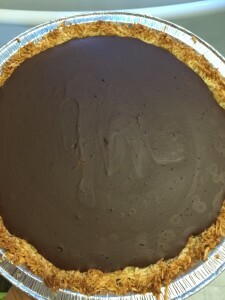 The coconut also provides a nice sturdy crust for the dense chocolate. 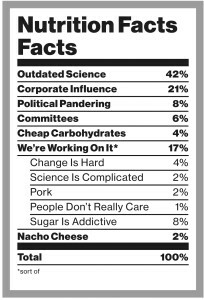 I do understand that there are some that really don’t like the texture of coconut. For those individuals, I made a regular almond flour crust. Just know that you can always change out your crust in any recipe. Preheat oven to 350 degrees and grease a 9 inch pie plate. Combine all of the above ingredients. I use my hands to combine and then press into your greased pie plate. Let it cool while you prepare your filling. In a saucepan, over medium heat, heat the coconut milk just until bubble form. 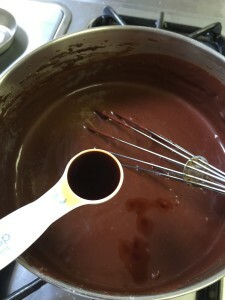 Add the chocolate that you have chopped to the pan. It will look like the above until it begins to melt, and then it will look beautiful. Once melted, remove from the heat and add the Swerve and Vanilla or other extracts. 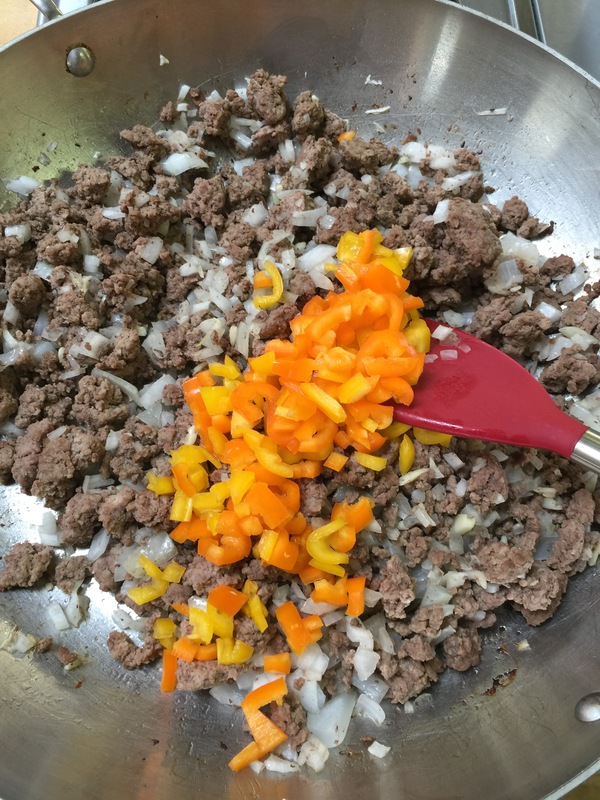 Whisk all your ingredients together and then pour in your crust of choice. Place your pie in the refrigerator for at least 2 hours. You can do it overnight which is great when preparing for a party or event. This is your finished product! To add even more to the richness, add a dollop of whipped cream to the top and you are really set! Cut with a sharp knife and enjoy. Not a typical statement you hear from a picky four year old child! I don’t think my mother could have hidden cabbage under my favorite foods as a child. In fact, I don’t remember my mother (who is an amazing cook by the way) even cooking cabbage at all! I probably would have run the other way. My children love it though! I have figured out that it is all in the way you cook your food. 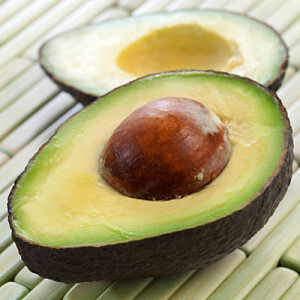 When you prepare foods certain ways (with good healthy fats) the foods we used to cringe over, we suddenly rave over! 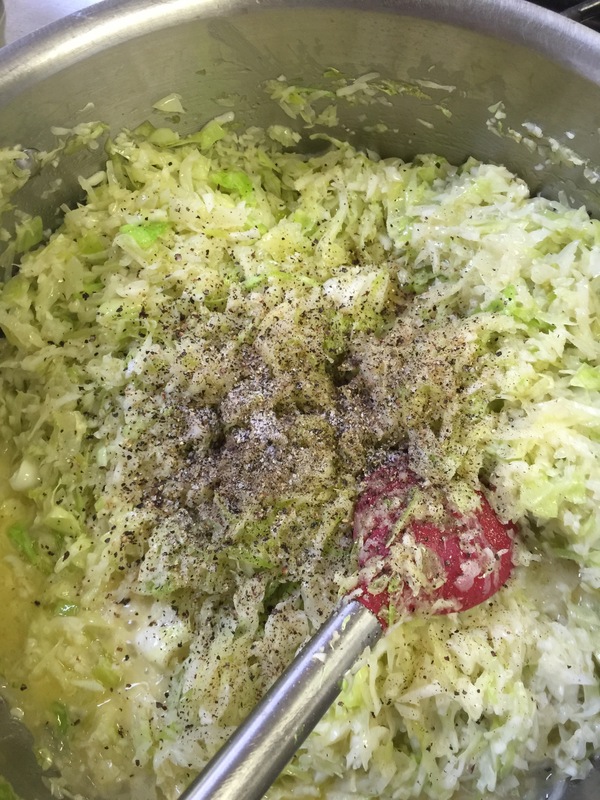 Cabbage is an amazing vegetable full of nutrients that we need on a daily basis. 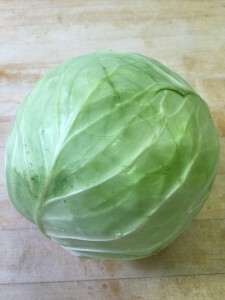 Cabbage is an excellent source of vitamin K, vitamin C, and vitamin B6. 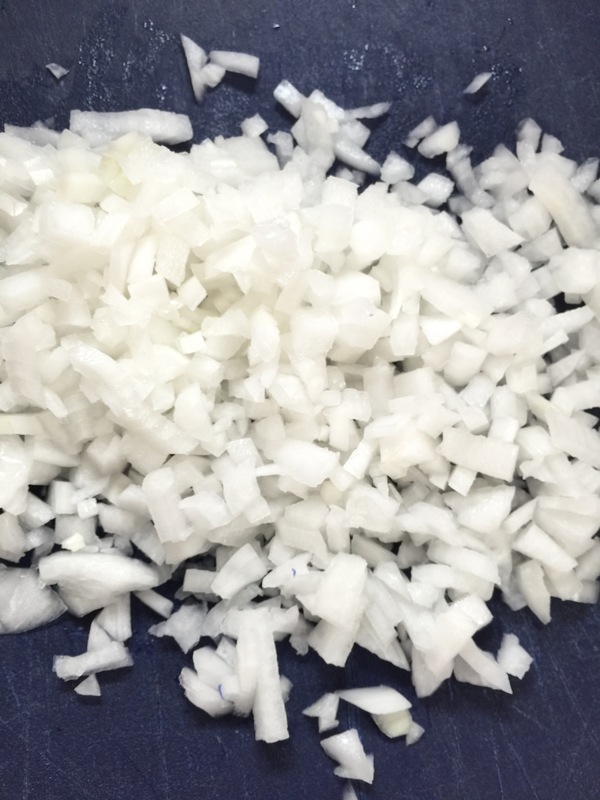 It is also a very good source of manganese, dietary fiber, potassium, vitamin B1, folate and copper. 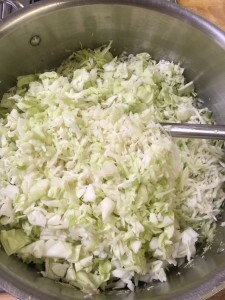 Additionally, cabbage is a good source of choline, phosphorus, vitamin B2, magnesium, calcium, selenium, iron, pantothenic acid, protein, and niacin. Wow! That’s a mouthful on it’s own. You can read more about the health benefits of cabbage here. 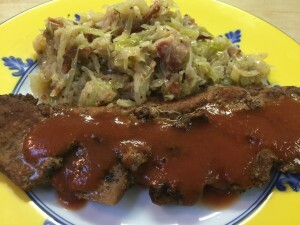 As with so many Keto foods that we post, this is another cooked with bacon. 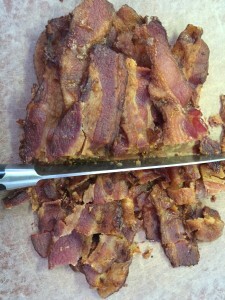 I mean, really, what can be bad when it is cooked with bacon? Start with your head of cabbage and your spiral slicer! Yep – you read that right – your spiral slicer. It looks odd, and I thought Erin was crazy when she told me about this method, but it is a super simple and speedy method for shredding the cabbage. 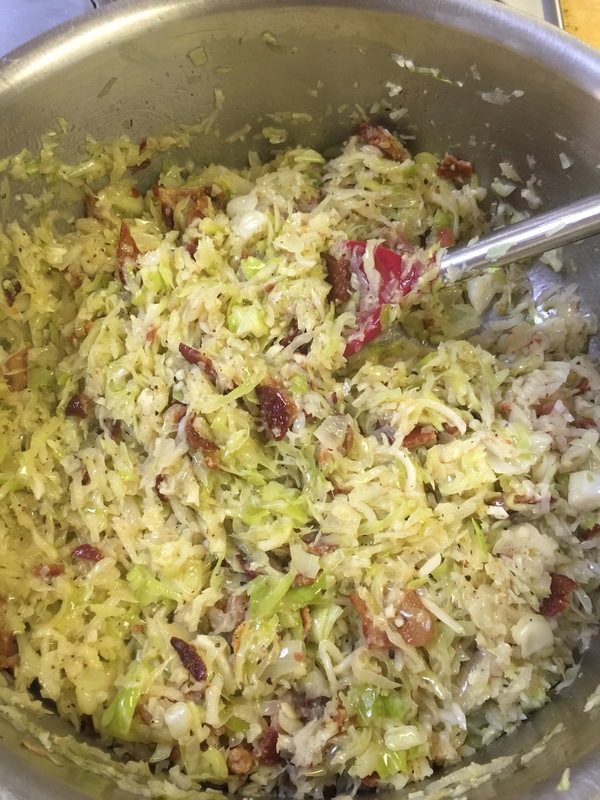 You could even make fresh cole slaw this way. 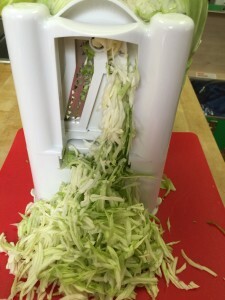 Keep going on the spiralizer until you get to a small amount at the end, and then you can just chop the rest. 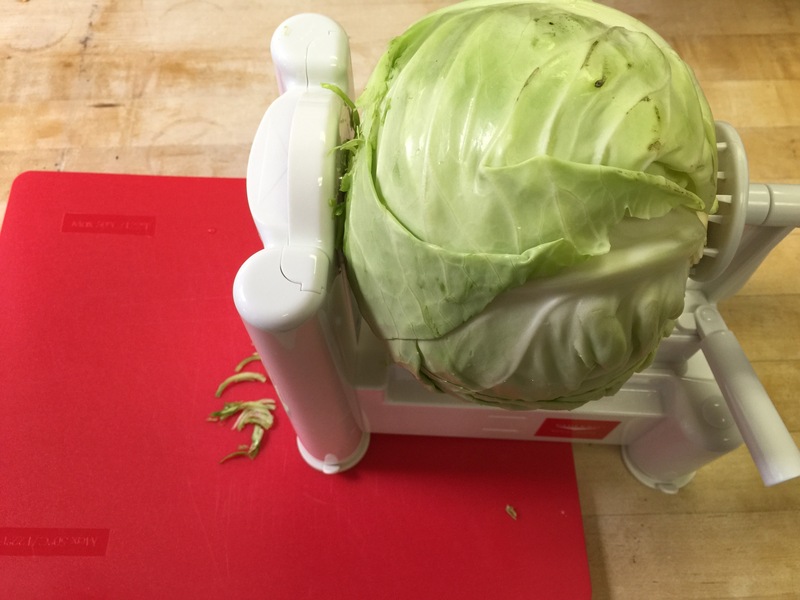 I did reach one point when the handle was stuck so I used my hand to rotate the whole head of cabbage until it moved easily again. 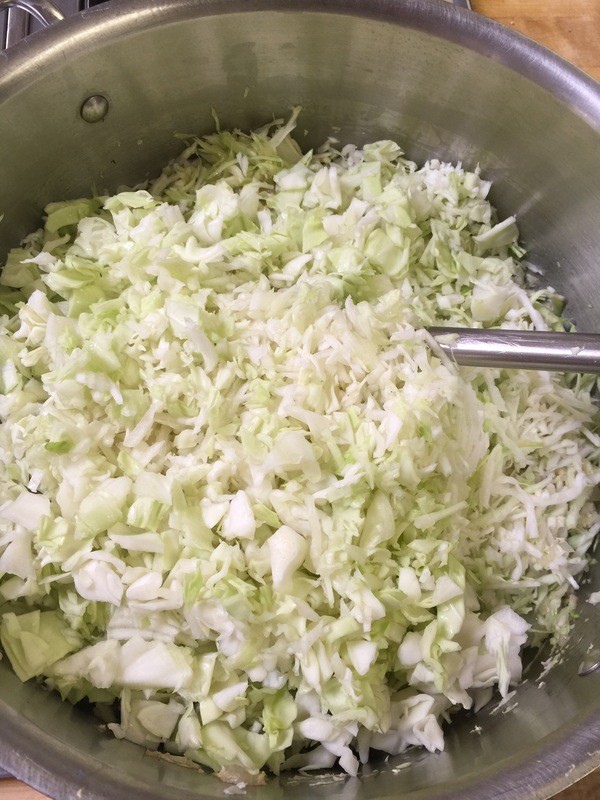 One head of cabbage will make enough for two meals for my family of five. Next, you have two options…1. 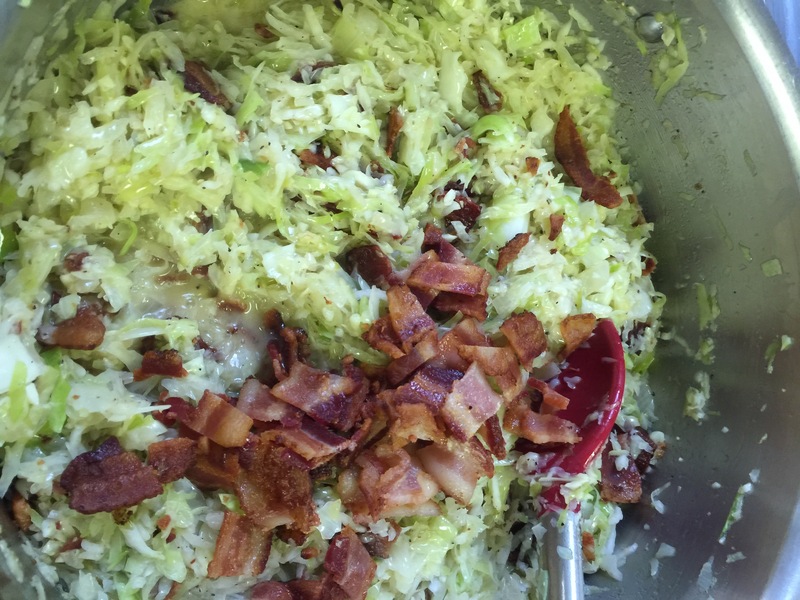 You can cook some raw chopped bacon in a skillet until it is browned or 2. You can use cooked bacon and the drippings. I made bacon earlier in the day and saved my drippings, so I went with the second method. I would recommend 8 to 10 slices of bacon if you are just going to brown it. Add your drippings to your pan. Heat over medium heat until hot. 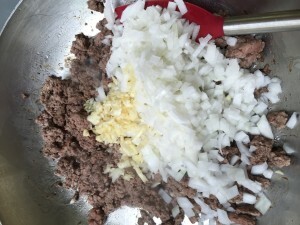 Add a chopped onion and several cloves of minced garlic. 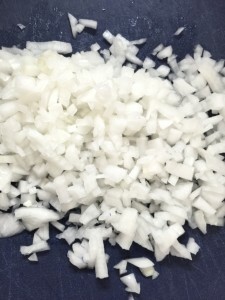 Sauté until fragrant and the onion is translucent. Do not brown the garlic. Add your cabbage. This will need to cook down for at least 30 minutes. 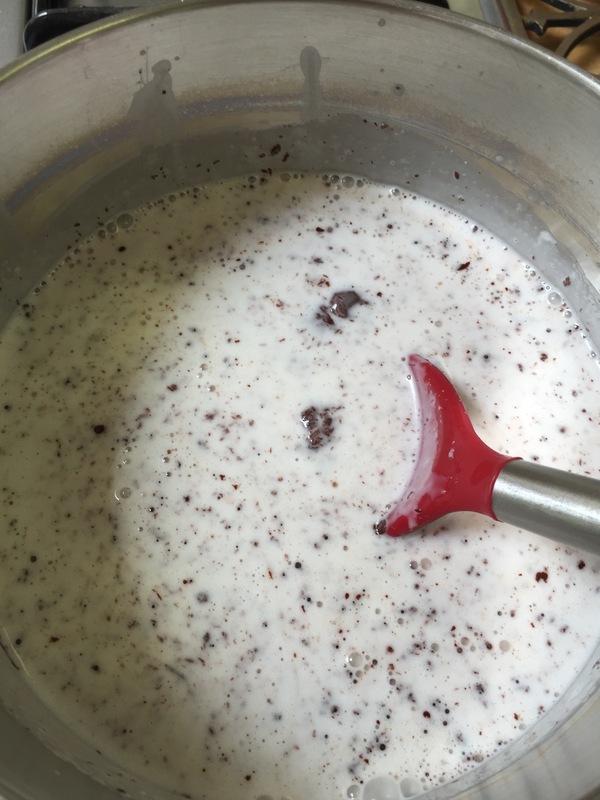 Keep stirring periodically for 30 to 45 minutes. 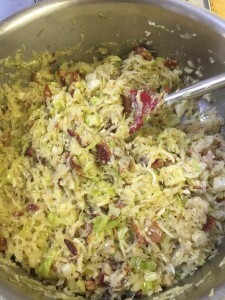 Add your bacon (if cooked prior) once the cabbage has cooked down some. Then add some salt and pepper to taste. 1/2 to 1 tsp of salt and pepper should be great. At this point also add about one-half cup of KerryGold butter. 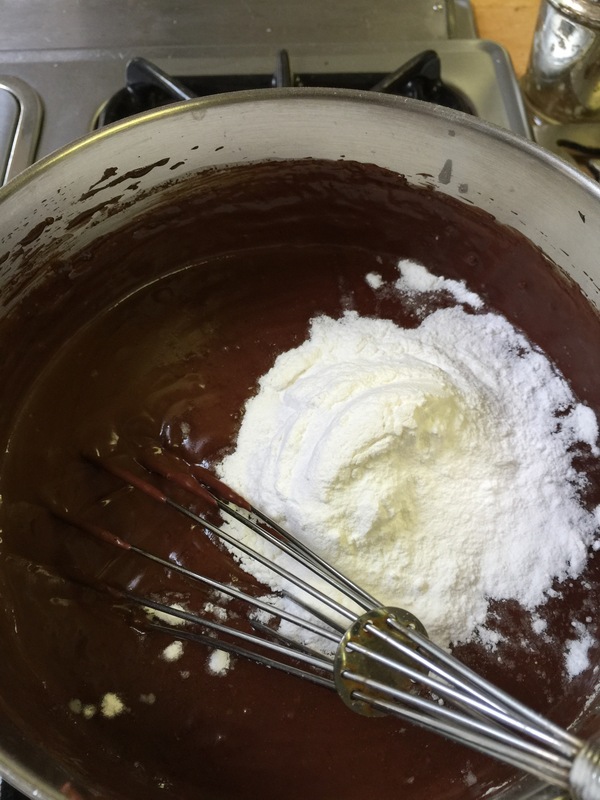 Continue to stir and cook so that all the flavors meld together. Once it has cooked down to your desired tenderness, it is ready to serve and enjoy! Hopefully you will be asked for second helpings! This is a dish that my oldest asks for on a regular basis! Hope you love it as much as we do! We have all been there – you know you’re not sick but your stomach is just… off. I remember when growing up, the go-to would be 7-Up. Not exactly Keto Friendly. 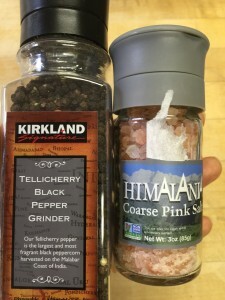 There are a TON of medicinal remedies, and back before being diagnosed with the Big C, I would have reached for the “pink stuff.” But these days I’m trying to be nicer to my insides and make healthier and more natural choices. Today has been one of those days, and I have been sipping on Ginger Tea. 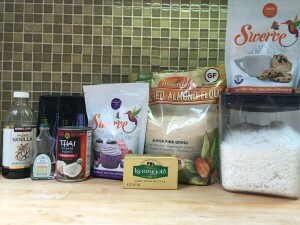 There are MANY varieties that can be found in the coffee and tea aisle, but it is also incredibly easy to make at home. 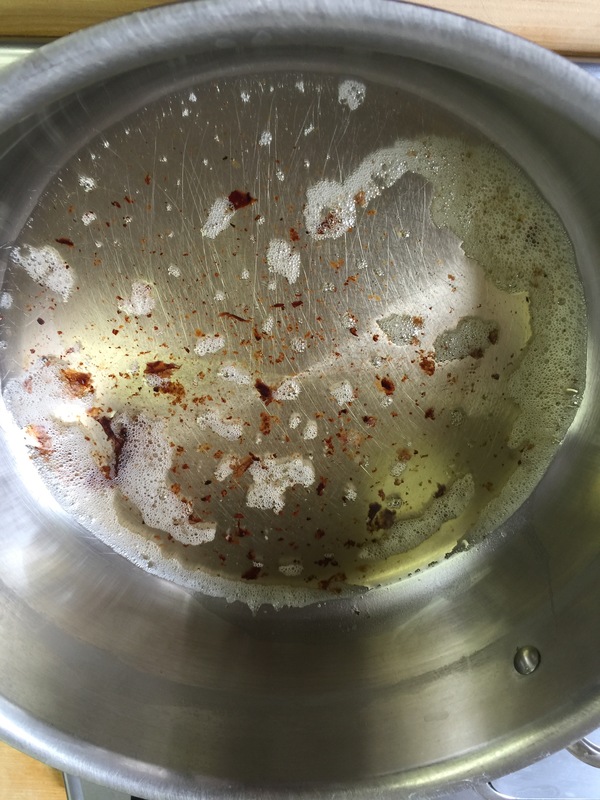 Boil your water, add the grated ginger, and let it steep for roughly 10 minutes. Strain out the ginger, and you are ready to sip! **This is a starting point – adjust the amount of ginger to your taste. Ginger is great for you, and while for some it can be an acquired taste, it’s ability to settle a tummy is amazing. I absolutely loved ginger ale, but once I cut out sugar, it had to go. The source of my recent onset of nausea is related to my radiation treatment. I was told that due to the location of the radiated tumor I would likely experience nausea and vertigo. This is all new territory for me! I was extremely lucky to not experience morning sickness, but I have several friends who are dealing with not just morning but all day sickies. Y’all are troopers!! This is NO FUN! The ginger tea is great for that too though. I will post more about my treatment in the future. I have completed radiation but have several other balls still in the air about the next steps. I know you have missed them. If you are a San Antonian, how could you not?? 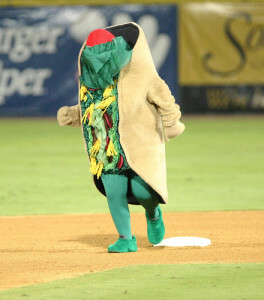 I mean this is an actual mascot here – Henry-The Puffy Taco. I’ll be honest, me too. Many times if we go out for breakfast we would order our tacos in a bowl. SO many places are quite accommodating. But there are few things better than lounging in your jammies, drinking your (BP) coffee, and eating breakfast at home. Yes, we do bacon and eggs OFTEN but being a native South Texan I like my breakfast tacos. This may sound silly, but the hubs (from Colorado) calls them breakfast burritos and it drives me a little crazy. A wonderful girlfriend of mine came over last weekend and enlightened me to the lettuce wraps from HEB. Borderline life changing over here. I have had lettuce wrap tacos many times before but I did not know that the actual heads could be purchased at the grocery store. The heads are smaller and compact. They were perfect! 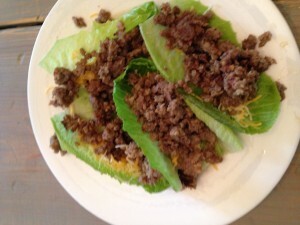 Super crisp, perfect size, incredibly versatile, and made ideal Keto tacos. 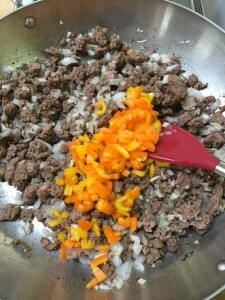 These can be used for so many things but this week I made some fantastic breakfast tacos. Check these out-so simple. Wrap, cheese, and breakfast sausage. They turned out great! Last Sunday I sent my two oldest children off to camp in another state. 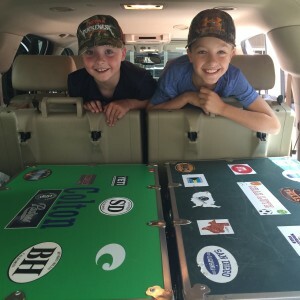 They were super excited about their time at camp except for one thing…the food! It is kind of funny that this was somewhat upsetting to them considering other children look forward to the pancakes at breakfast, chicken fried steak, and the candy store. Other children that go to this camp rave about the food, but mine, of course, were anxious. I have to admit, it makes me a little anxious too, but so proud of them at the same time for knowing that they understand the foods that fuel their bodies best. If you read my post recently about my children refusing the almond flour muffins it makes sense. My oldest is definitely Keto-adapted. The other two have a way to go, but my middle child would be closer if not given outside choices. As parents, it is virtually impossible to keep our children healthy at all times. Erin and I have a 90/10 rule. 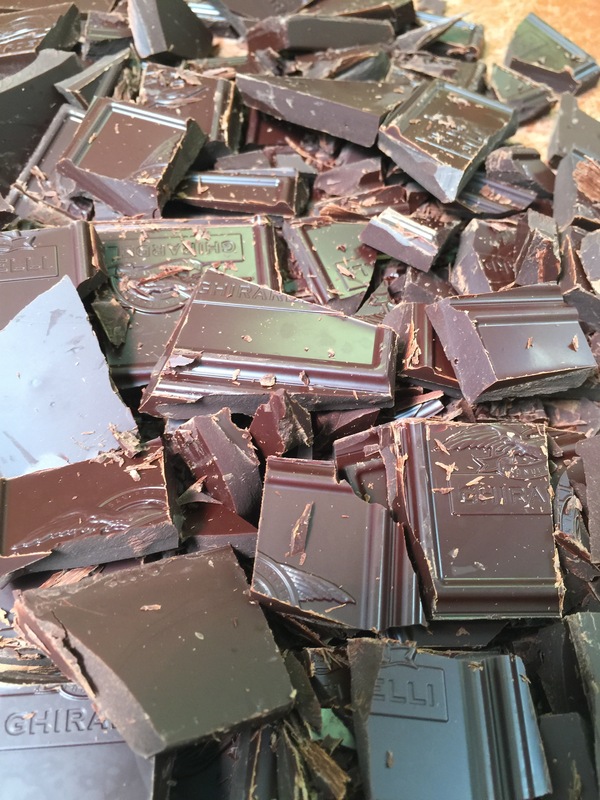 If you are sugar-free and Keto-adapted 90% of the time, forgive yourself for the other 10%. Many times it can’t be helped if you are away from home also. If my children are 75%/25%, I am happy. I can’t control everything that happens at birthday parties, grandparent’s homes, and eating out with friends, nor do I try. Don’t get me wrong, I am a bit of a control freak, but I know a bad ending when I see it coming! The last thing we want to create is the forbidden fruit syndrome. They need to experience the difference in how food makes them feel to make them WANT to eat healthy. This takes time, just as it does for us. My goodness, it took me over 35 years to figure it out! Hopefully with our guidance it won’t take our children as long. Once they figure out that carbs and sugar make them feel badly, it becomes much easier. That is, until camp time; or really anytime they are away from home for a prolonged period of time! I tried to counsel them about food choices before they left. I thought about requesting no sugar from the camp, but my husband talked me out of it saying this is their time to be kids. Again, the 75/25 for them, and he was right. My prayer is that they always make good choices, and just like most other bad choices, they will feel the consequences of them quickly if they decide to buy three candy bars and a gatorade at the camp store for snack. I have to admit, I am really curious to see how it goes. This is a lot of freedom for them. 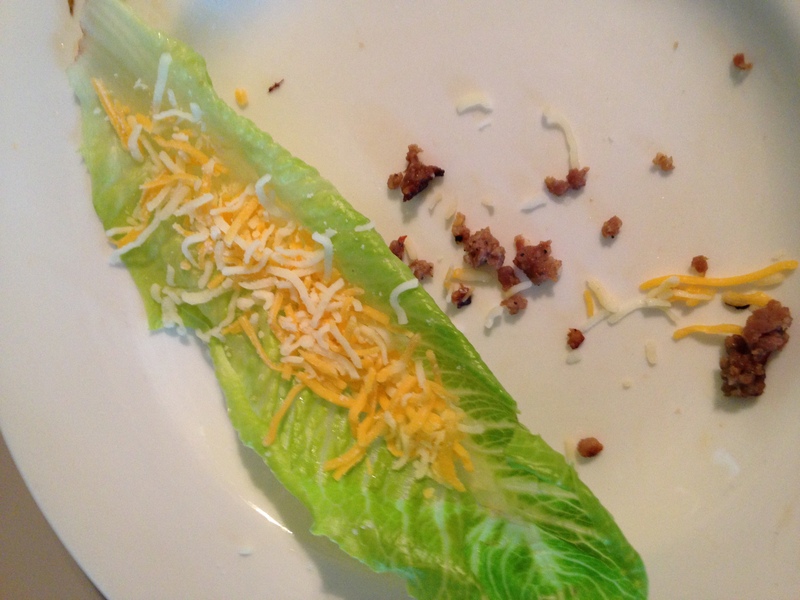 The best advice I could give them was to remember the foods we eat at home and try to mimic them. If everything is fried or brown, go for the salad bar option and pile on the proteins and full-fat salad dressings to make sure you are energized. Instead of the cinnamon rolls and waffles at breakfast, remember how much better and energized you feel when you choose eggs and bacon for breakfast. They can skip the extra bread, have two patties instead of a bun, and go for extra veggies instead of the mashed potatoes. 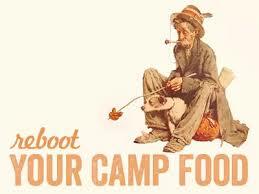 Pick the bag of nuts or sunflower seeds in the camp store instead of a candy bar or crackers. They know how food makes them feel now, so now is the time to put that into play. I think we all realize there will be days when there may not be a better choice, but that is okay too. As many of us send our kids off for a few weeks, we pray for their safety, lasting friendships, spiritual growth, and growth as individuals. Encourage them to make good choices in all aspects of life including nutrition. Know, however, that if they can’t always make good healthy eating decisions, it is okay. The most important thing that you can do as a parent in teaching them, as in so many other aspects of life, is modeling. If you are making good eating choices in front of them, and cooking good healthy, low-sugar meals for them when they are sitting at YOUR table, you are making a world of difference in their futures. They will have those memories of dinnertime rituals at your table forever and carry those on to future generations. So set those examples at home, and with a little hope and a lot of prayer, let’s look forward to a future generation of very healthy eaters that can make great decisions on their own. 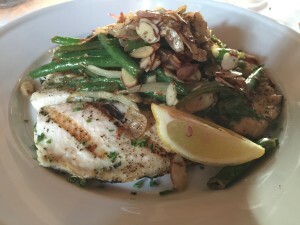 It’s the weekend, and what is better than taking a night off from the kitchen to have a wonderful meal out? For those of you not local to San Antonio, you will have to make the trip down here. We know many of our readers are local though, so we have some great tips you can try for an evening out! The kids are off to camp this week so we decided to try some new restaurants we had heard about. We ventured out four nights this week which I think is a record! Of the four, two were very much post worthy. 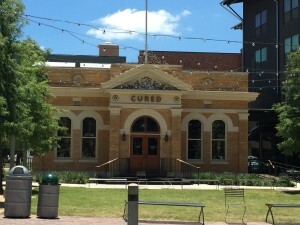 The first one worth mention was Cured, which is located in the Pearl area near downtown San Antonio. I went with Erin and another Keto friend, Kelley, where we decided to get three different dishes and serve them family style. We ordered a great variety. 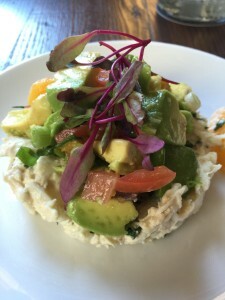 It is basically lump crabmeat in a mayonnaise base topped with a ton of avocado and salad fixings. I asked them to leave off the beets. 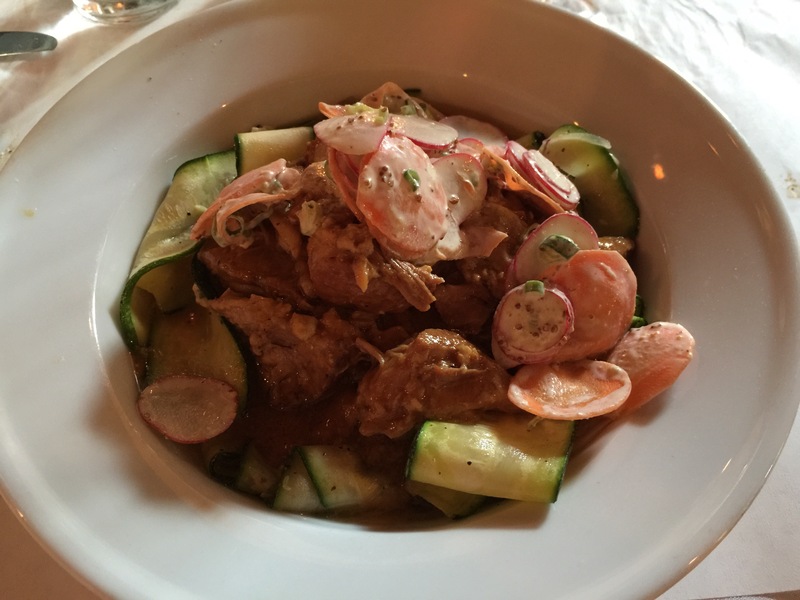 It was a delightful summer dish, not to mention beautiful! Of course, without the bun! Another delicious dish. 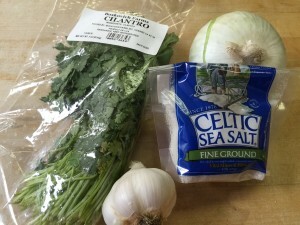 Look at the Herb Creme Fraiche and picked onions! 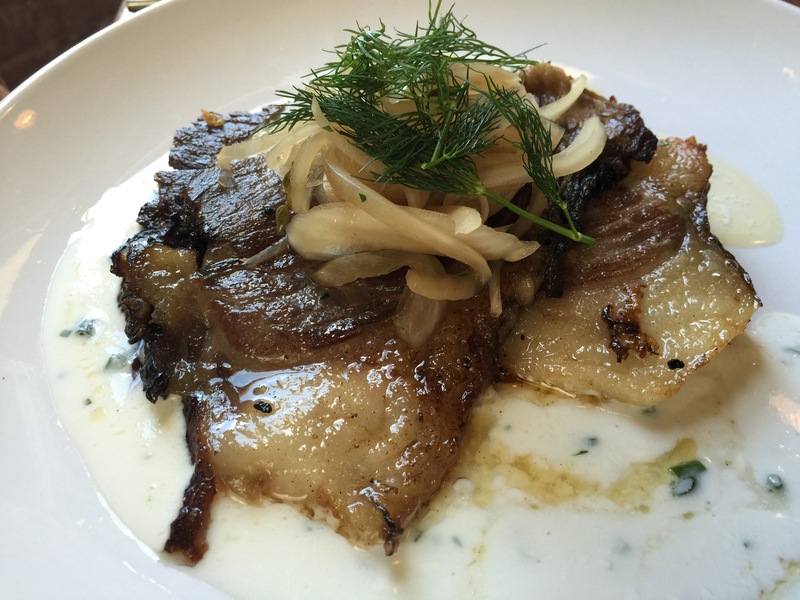 And…the wonderful natural beef fat could only help to make it perfectly KETO! I am still salivating over this one! I had never had pork cheeks or any kind of cheeks for that matter, but I guarantee I will have them again. 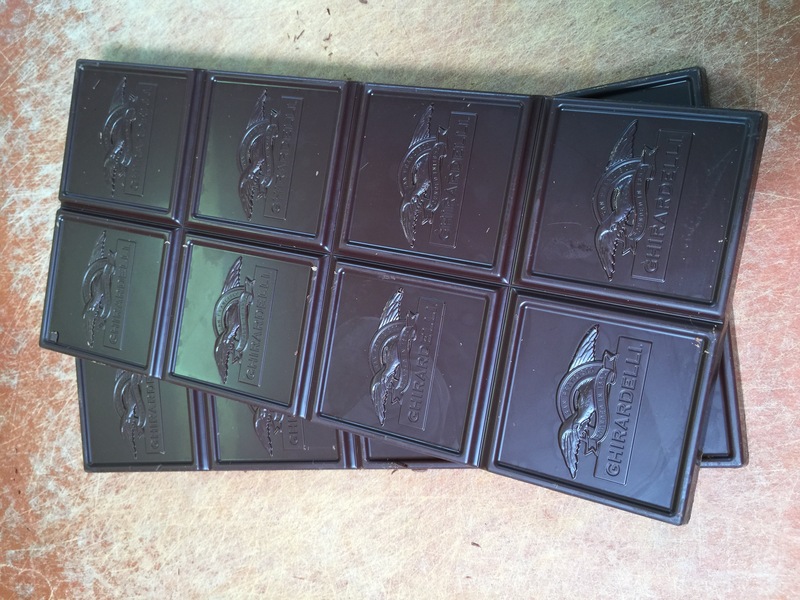 They are melt in your mouth tender with wonderful flavor. They braise these and then slow cook them for hours. 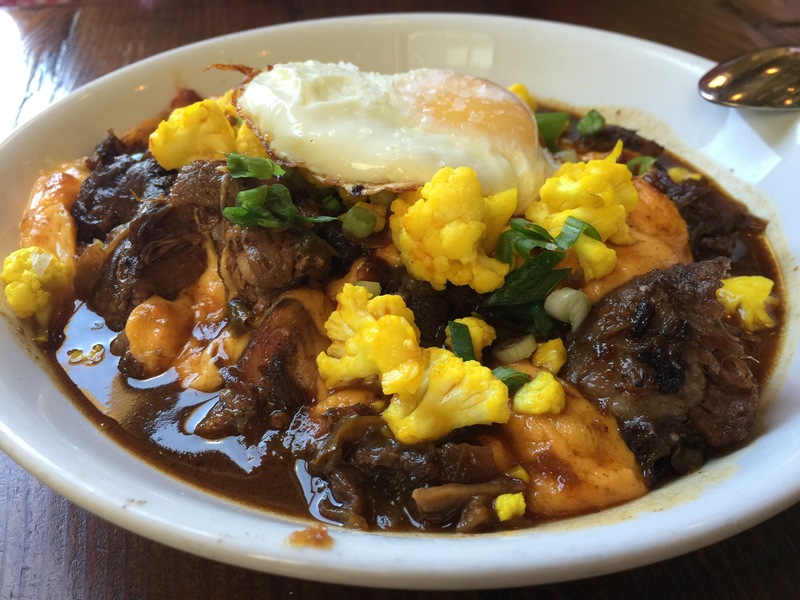 It was topped with gobs of flavorful cheddar cheese, pickled cauliflower, and we chose to add the fried egg. Can you say Keto, Keto, Keto! AMAZING!!! I can’t say it loudly enough! 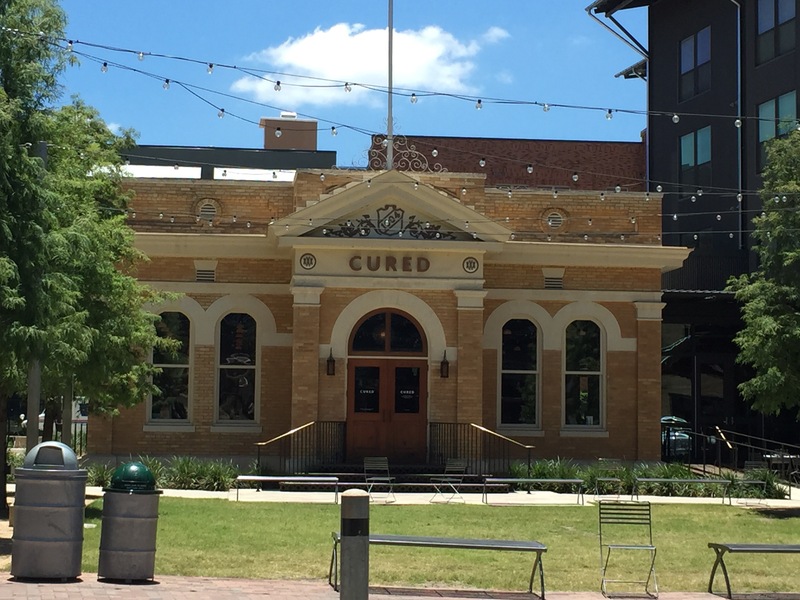 Over all Cured got 5 Stars from all of us for food, atmosphere, staff, and Keto friendly! The other restaurant we tried was The Cookhouse! This one is located off of St. Mary’s on Mistletoe in a cute little restored house. Make sure you have a reservation! We went on Tuesday night and the only reservation they had left was 6:00 pm. We probably watched them turn away 7 or 8 parties while we were there. Another advantage of this restaurant is their corking policy. You can bring your favorite wine to enjoy for a $20 corkage fee. The Cookhouse is a New Orleans style restaurant so we were a little anxious going in because of all the heavy carb dishes usually associated with New Orleans. They could not have been more friendly about substitutions here even though they had a large party that evening. 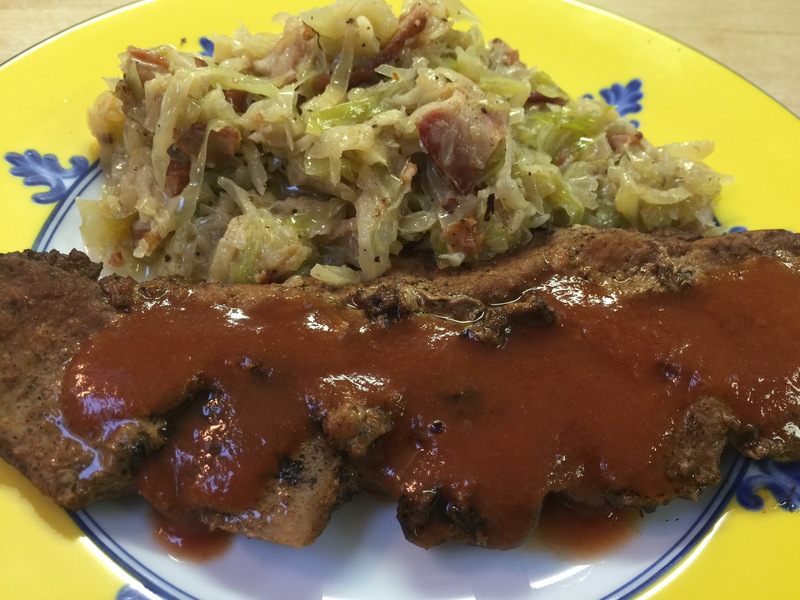 Everything is prepared fresh while you wait, and we were able to have a perfectly Keto Low-Carb meal. We tried a lot of different dishes, and realized we ordered too much once the entrees arrived. They are massive so go hungry! 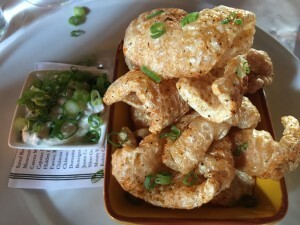 The Pork Cracklins are you guessed it, Pork Rinds served with an incredible cream cheese, sour cream and chive dip. These are a far cry from the pork rinds at the gas station! 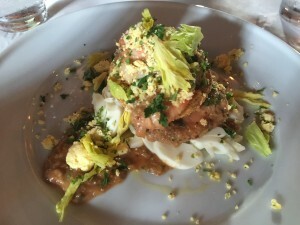 Above is the Shrimp Remoulade Salad-A meal in itself but watch out for the fried green tomatoes. Braised Pork Shoulder with zucchini. 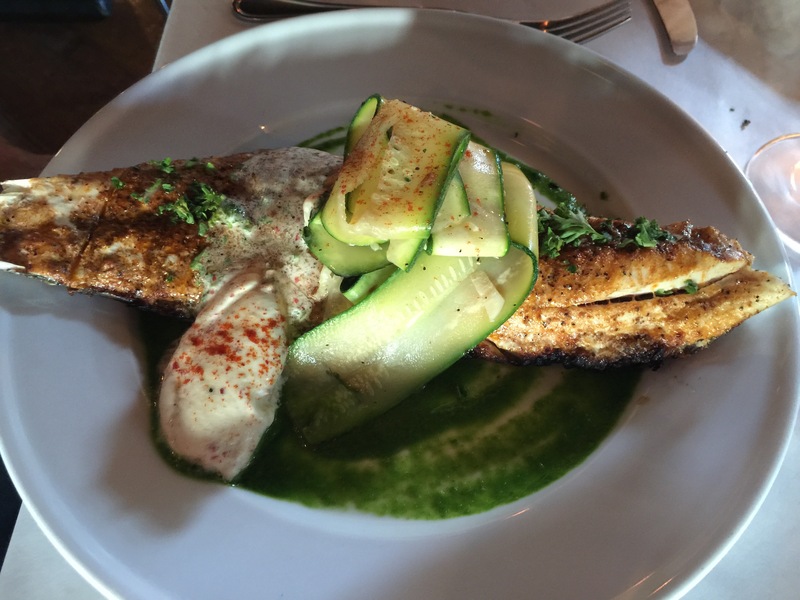 This was in place for the Blackened Drum in the menu, I believe it was a red fish. When you think of cajun often the first thought after spicy and gumbo is grits. None of the four of us had grits and none of us missed them. 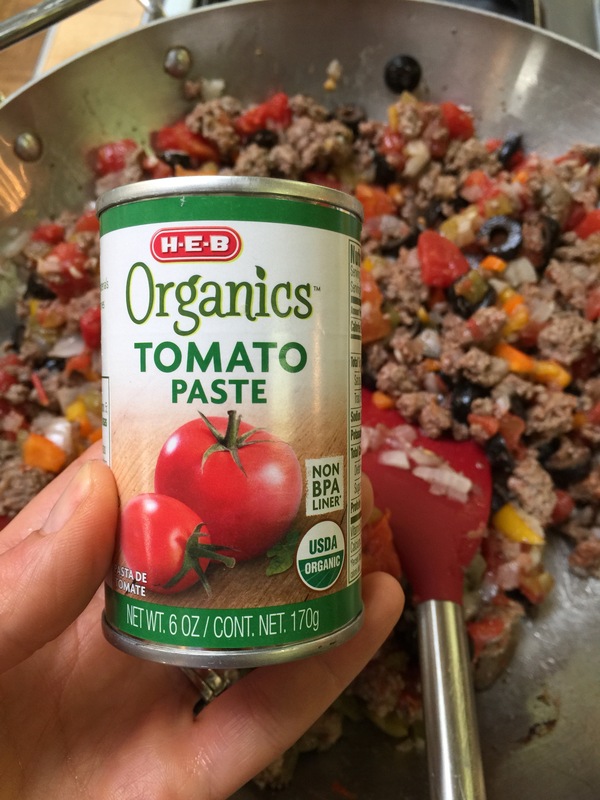 Not just a favorite in Texas, but a STAPLE! We eat salsa on everything! 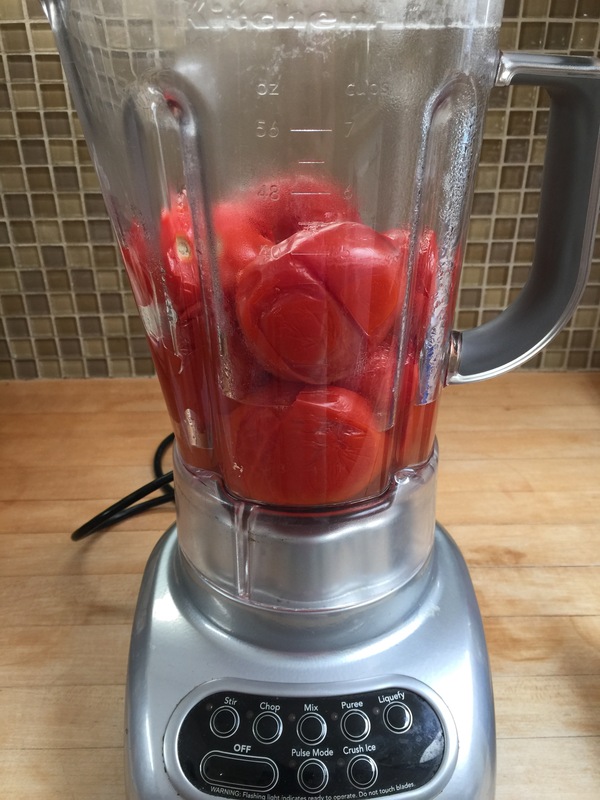 It adds an extra punch to eggs in the morning, salads at lunch, guacamole, and many other dishes throughout the day. The mason jar was running on empty, and my husband just didn’t know what to do! Tragedy, I tell you! I whipped some up last night in no time. It literally takes about 15 minutes, 5 of which are active. 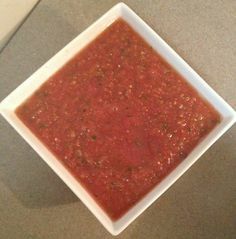 Everyone has their favorite way of making salsa. 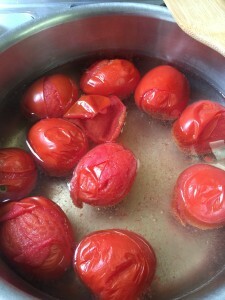 I have tried steaming the tomatoes and peppers, sautéing them, browning them, but by far, the easiest is boiling. I used to use a hot skillet and brown the tomatoes, peppers, and onion, but it would smoke up the house to the point that I would have to open all the doors and windows to air out. So boiling it is! This is my newest way, and I’m sticking to it! I don’t have a specific amount of anything, but I can tell you what I did. It is a little different each time because the heat of peppers varies so greatly. Always start small and add in small increments. 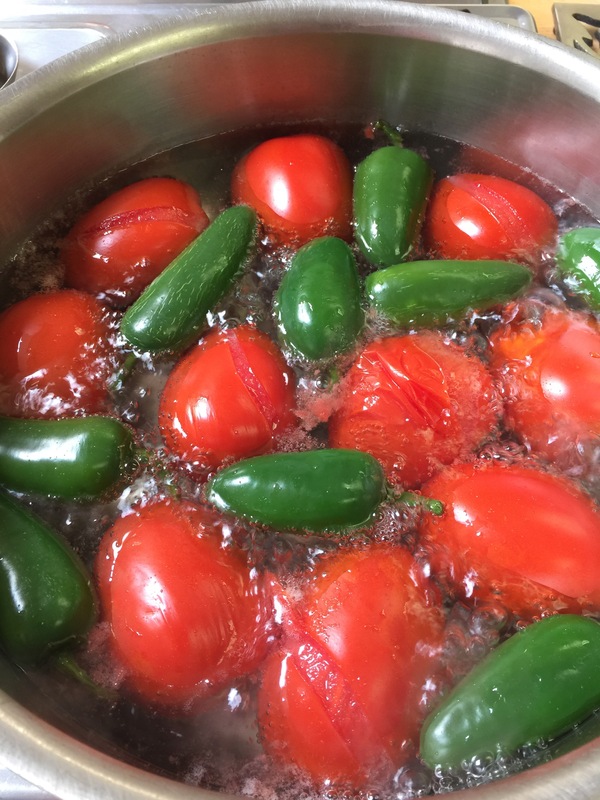 Wash your tomatoes, peppers, and cilantro well! Place your tomatoes and peppers (I did wayyyy too many peppers!) in a pan and fill with water not quite covering the tomatoes and peppers. 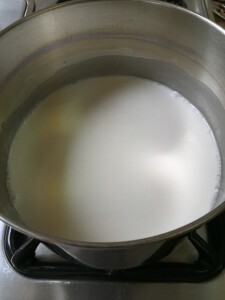 Bring to a boil and reduce to a simmer on medium heat. Simmer until the skins start to peel back on the tomatoes stirring frequently. 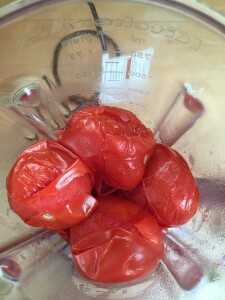 Remove the tomatoes with tongs and squeeze gently to release any water. 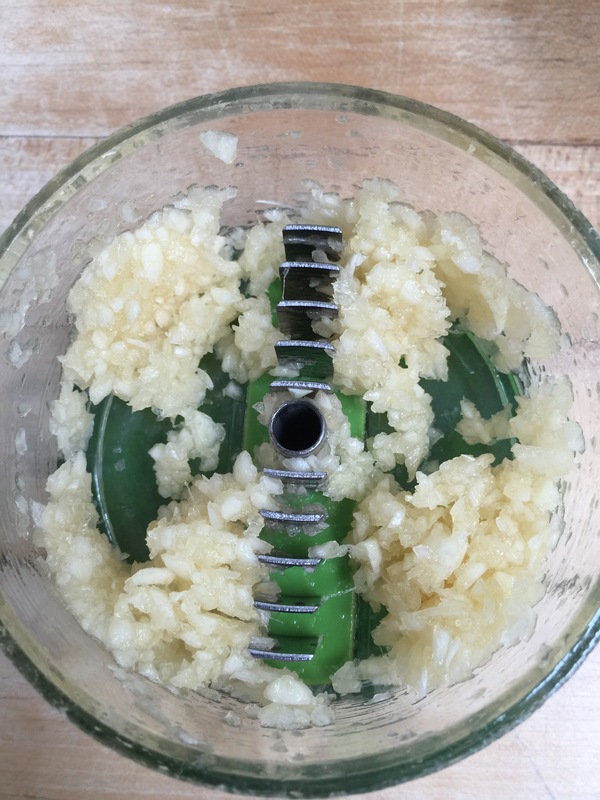 Place in your blender. Remove the peppers from the water and detach the stems. 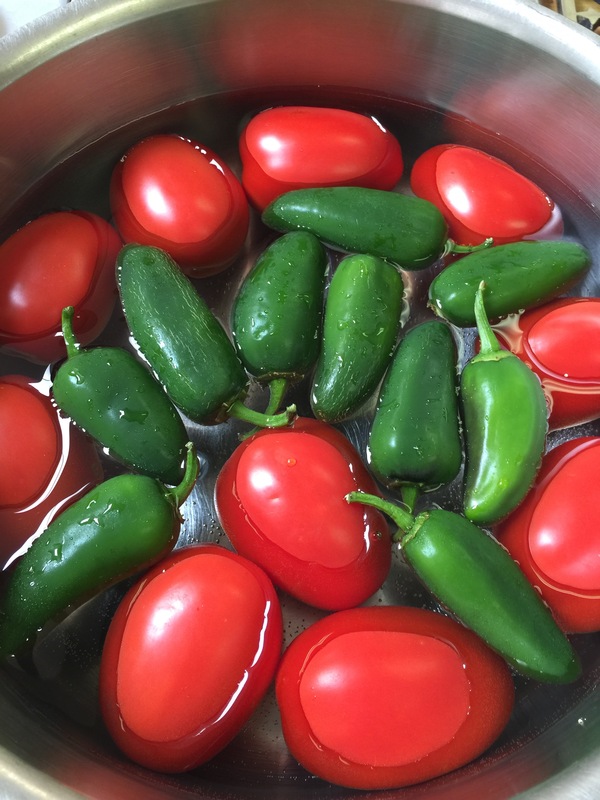 I started with 3 peppers and it was plenty! These little things were HOT! 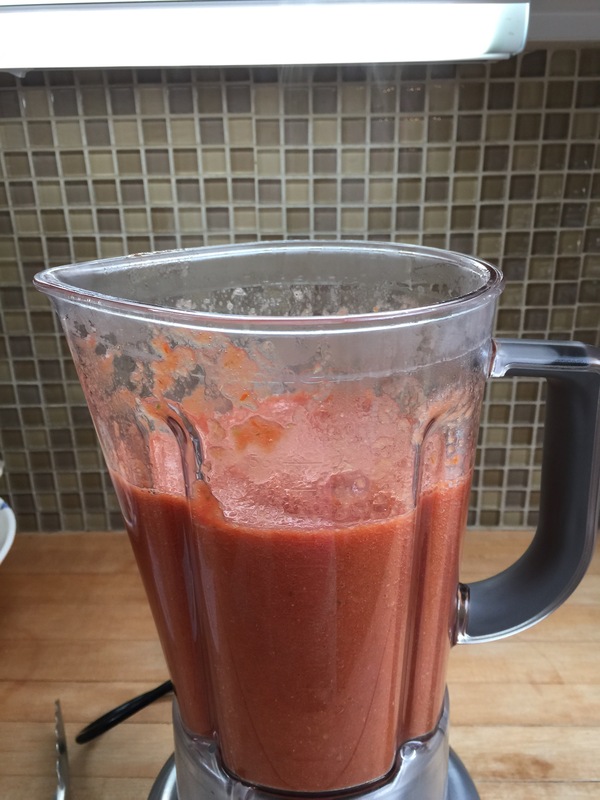 I blended the tomatoes and peppers on high for a few seconds, then added the onion, garlic, and salt. Add your cilantro last. 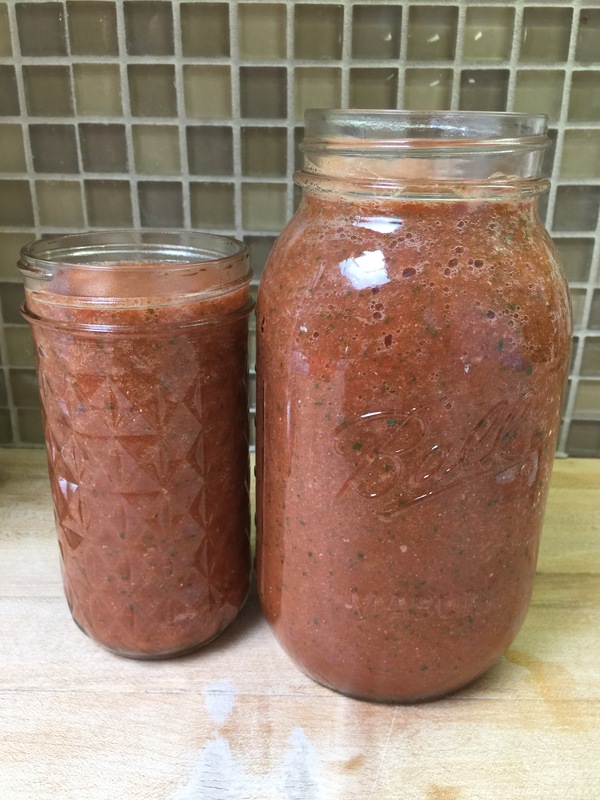 I blended everything together for about 10 seconds on high, and ended up with a large mason jar and medium mason jar of salsa that was some of my best! 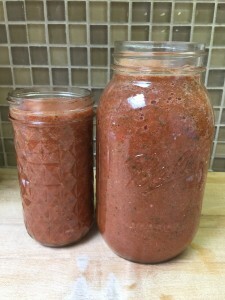 This is a great healthy sauce full of vitamins and antioxidants that will spice up your food, literally! It will keep in your fridge for about 2 weeks. 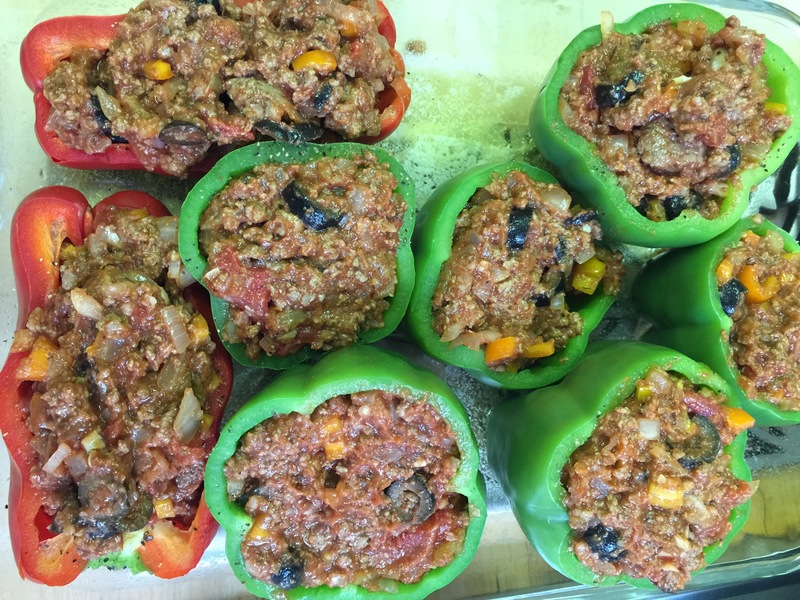 I had some grass-fed ground beef and bell peppers in my fridge that I needed to use. 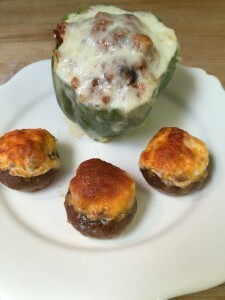 I decided to combine the two for some fabulous stuffed bell peppers! They turned out fabulous so I just had to share. This was a great main course. Save your carbs for this one because the veggies are a little higher in carbs than most of our recipes, but it is a super healthy way to combine your veggies and protein for a fairly easy meal. I changed out the cheese in the picture for mozzarella and it was excellent. Brown your ground meat. 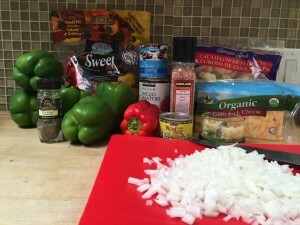 Add your onion, garlic, and chopped sweet peppers to soften. 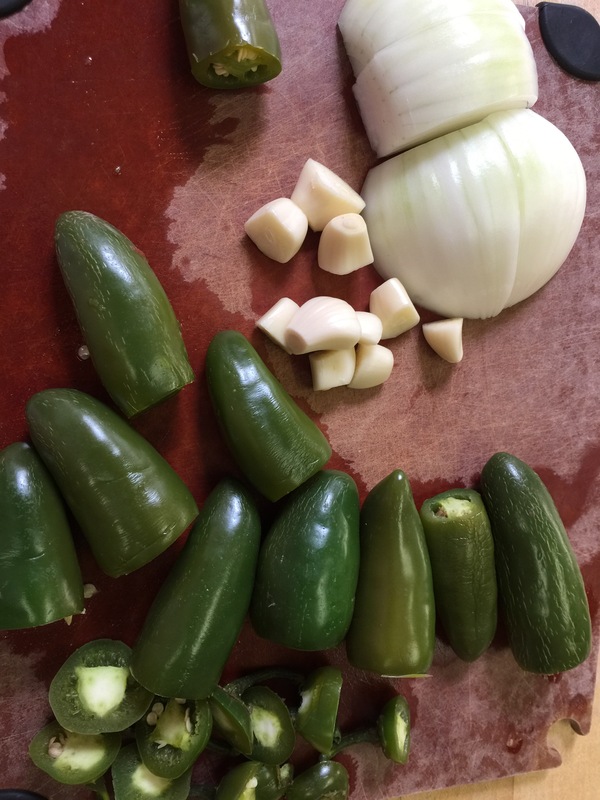 There are a few ways to cut your peppers. 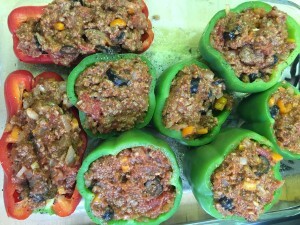 For more stuffing, you want to cut off the stemmed top and leave the rest of the pepper. 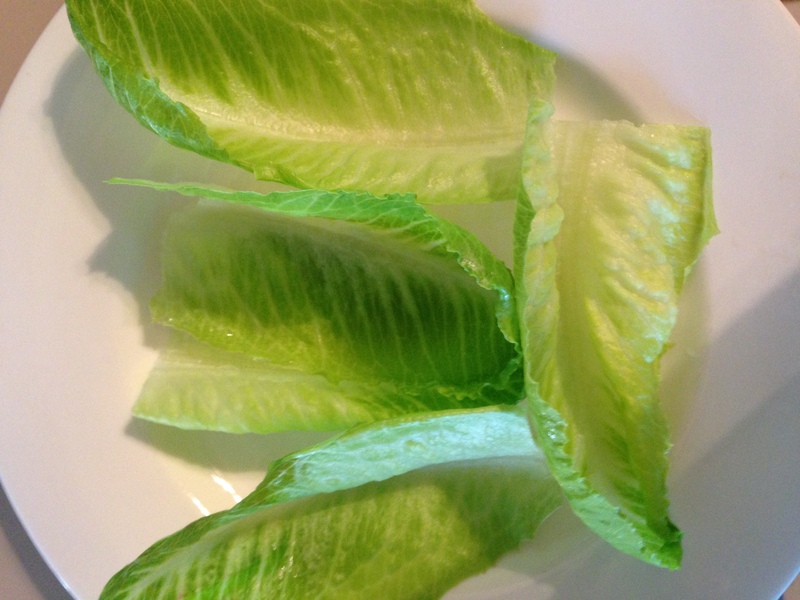 Cutting them in half also works for a smaller portion – you just don’t eat the stem. This is what I do for my children because they just eat the meat and cheese out of the center anyway. I did both of these with the green peppers. 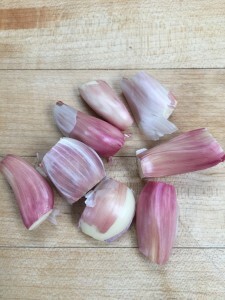 You can also cut them in half lengthwise and use both halves. This is what I did for the red peppers. 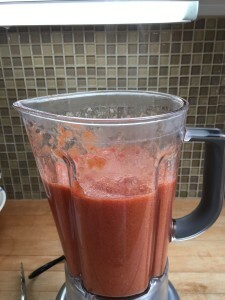 Make sure you wash well – remove the stem if you are not using both halves. 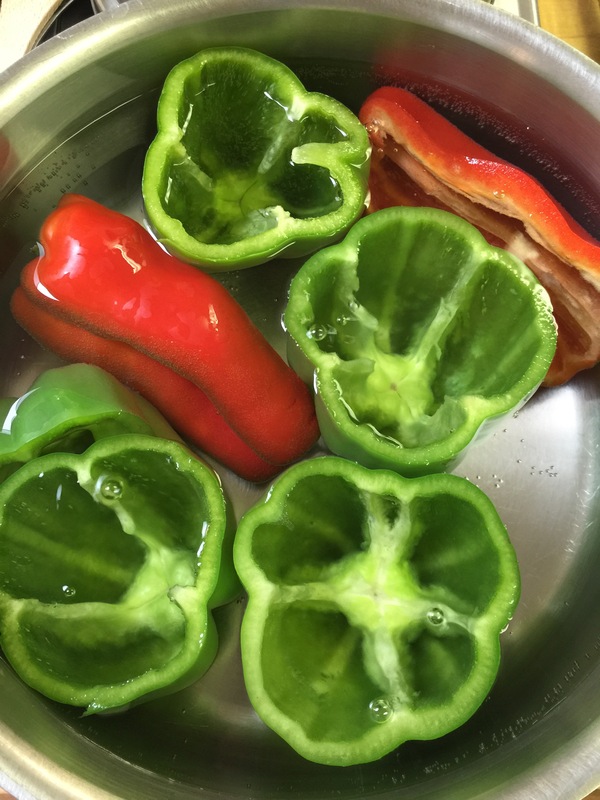 Remove the seeds and the membranes on the inside of the pepper. 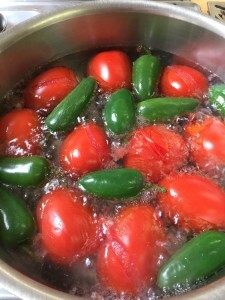 In a large pot of simmering water, place your clean peppers and simmer for about 5 minutes until just barely softened. This will take away a little of the bitterness. Set aside. Back to the meat…add all your remaining ingredients except for the cheese. 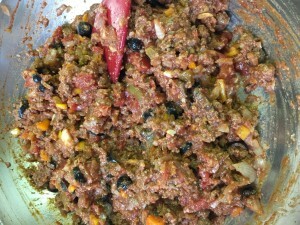 Feel free to add spices and other ingredients to your liking or subtract those you don’t care for. Now scoop out your mixture and stuff inside your peppers. 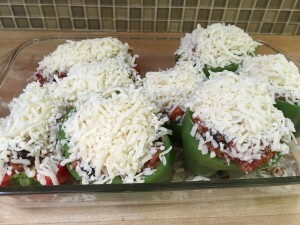 Top with cheese, and bake at 350 degrees for 30 minutes. 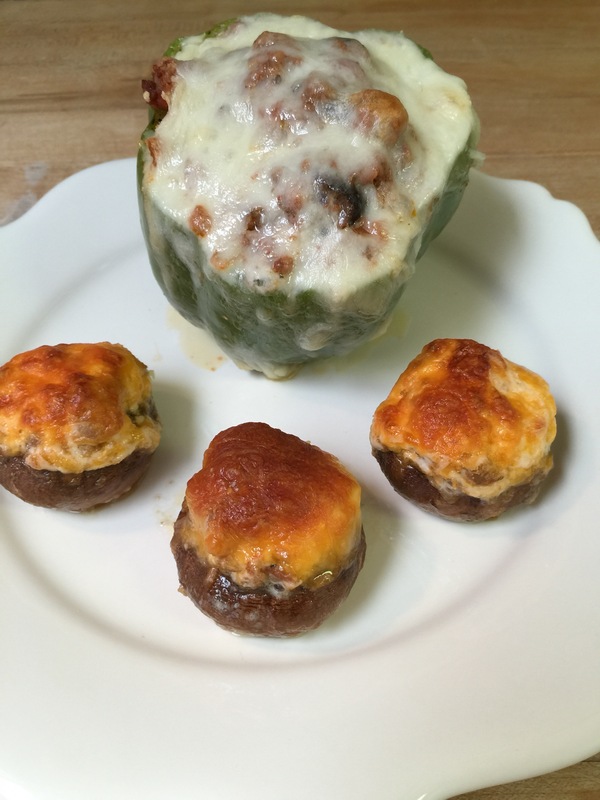 We served ours with stuffed mushrooms – I was obviously on a stuffing kick! 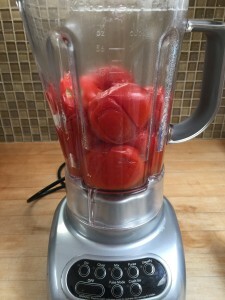 We were chatting the other day about keto (of course) and thought it might be a good idea to post a bit about the “basics.” While we we have been trucking right along with recipes and tips we realize not every one has been with us since the very beginning. So today’s post will be a little refresher about what the Ketogenic Diet is about. 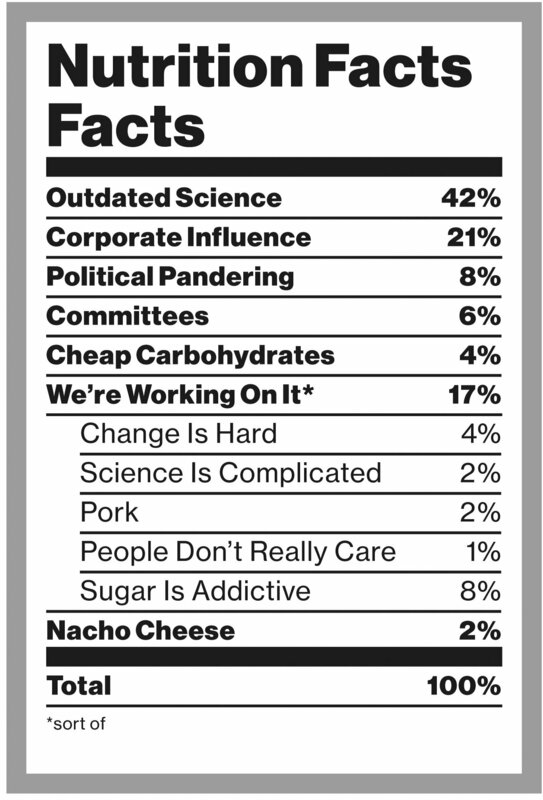 This information is also located on the “What is Keto?” tab. When Erin was diagnosed with Stage 4 Cancer, she was immediately given books, journals and studies outlining the tragic effects sugar has on the body. Her father-in-law insisted she remove sugar from her life and start a Ketogenic diet. Upon further research, both Erin and Cindy have come to discover the benefits of a Ketogenic diet for more than just cancer patients. 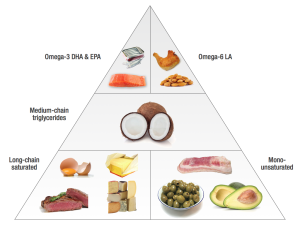 Other than Type I diabetics and alcoholics, the ketogenic diet is good for most people if even just used to power the brain with it’s preferred source of energy…FAT! Fat is great for our brains and our bodies. Fat was given a really bad name back in the 1950’s, and continued to be beaten out of our diets based on false science until recently. 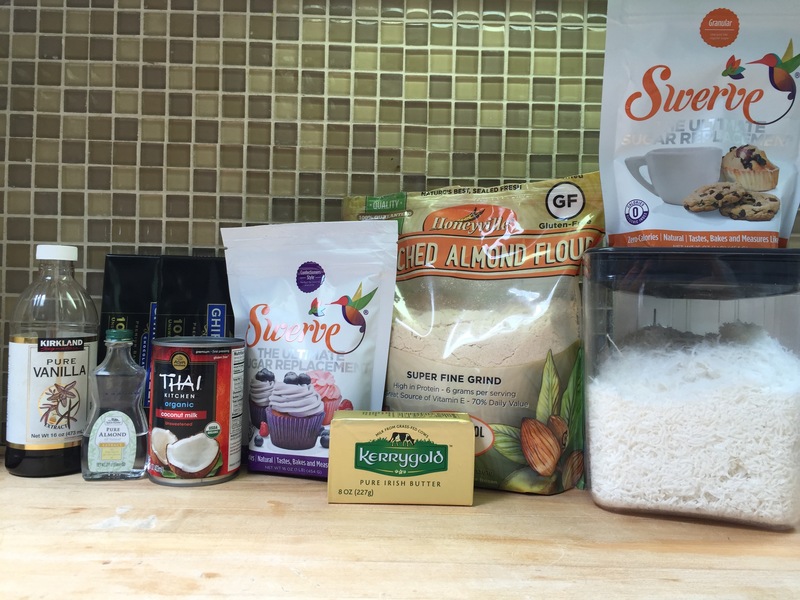 When the fat was removed from our diets, food manufacturers added copious amounts of sugars and fillers to replace the fat that had once given us the natural flavors and textures we all loved in our food. In turn, this made us not only food addicts, but sugar addicts as well! Now, it is time to break the cycle and bring our nation back to the way we were originally designed to eat! A Ketogenic diet is a diet that consists of primarily fat, moderate protein, and very low carbohydrate intake. Many times referred to as Low Carb/High Fat (LCHF). The percentage of Macronutrients varies for each individual depending on insulin resistance and metabolic panel. For instance, Erin can eat quite a bit more protein and carbs without a negative impact on blood ketones. Cindy, on the other hand, has to have a higher fat intake with fewer carbs and protein in order to keep her blood sugar minimized because of her insulin resistance due to Polycystic Ovarian Syndrome (PCOS). A typical day for most individuals would consist of 72.5% Fat, 22.5% Protein, and 5% Carbohydrates. Ketosis occurs when your body shifts from burning glucose (sugar and carbohydrates) for fuel and instead burns ketone bodies produced by the consumption of fat. We call this Keto-Adapted. Ketones are the ideal fuel for the body, unlike glucose, which is damaging, less stable, and shortens your life-span. Ketones are non-glycating, which means they don’t have an aging effect on your body. The energy producing cells (powerhouse) of our body, the mitochondria, work much better on a Ketogenic diet as they are able to increase energy levels on a stable, long-burning, efficient, and steady supply of Ketones. No drug has been able to mimic the effect of Ketosis because the mitochondria were specifically designed to use fat for energy. This was the diet of our ancestors years ago, and the way we were designed to live as they were scavengers and hunters. Our brains have evolved to live off of fat. In fact, our brains are primarily composed of fat and prefer such as a fuel. Babies live on a Ketogenic diet. We were given a gift to provide newborns with the ultimate brain fuel naturally in breast milk. When babies are given breast milk which is primarily fat they are essentially Keto-Adapted and burning ketones for fuel which in turn helps construct and grow their brains. In a nutshell…Being in Ketosis means your body is burning fat (Yay!). For your brain, it means clarity, less risk for seizures, a better environment for neuronal recovery and repair, plus more energy! 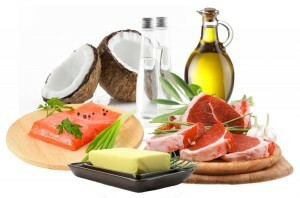 What does a ketogenic diet treat? Great for Body Builders or Fitness Buffs that want increased definition of their muscles. We are so excited about this article! July 10, 2015, the New York Times printed an article, that in our opinion, is long over due. How great is it that?! While this article doesn’t address all the current issues with the Standard American Diet, (SAD) it’s a giant step in the right direction. The reality is, the more the general population starts asking for real food, the more truly healthy options we are going to get. Please take a couple short minutes to read the article above (it’s not long) and feel confident when you ask for extra butter on your steak.